PayPerMinute plugin - how it works? 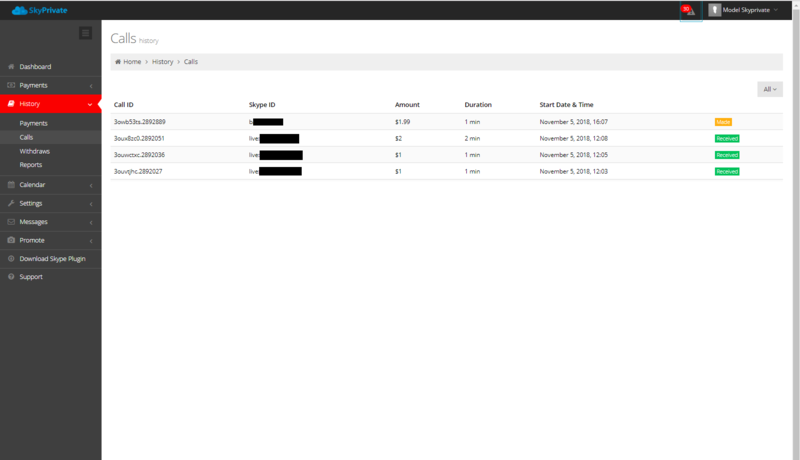 Since the PayPerMinute plugin is the tool used by our Models to earn money, we have created this page to show how to use the plugin and its functions. 1. After you turned on your computer, open your Skype and then the PayPerMinute plugin. Please wait for at least 10 seconds for the plugin to open. 2. If it is the 1st time you log into the plugin, you will be asked to link your Skype account, so enter your Skype email/phone number and your Skype password. 3. Afterward, enter your SkyPrivate account's password and you will log into the plugin. 4. To assure that you are logged into the plugin, just look on your lower right side of your desktop, near the clock, for the plugin's icon. 5. As long as you are logged into the plugin and on Skype, you will appear online on the profiles page. 6. If a person sees your profile and find it attractive, he will contact you on Skype. 7. Discuss the details of the show and tell the person to call you. 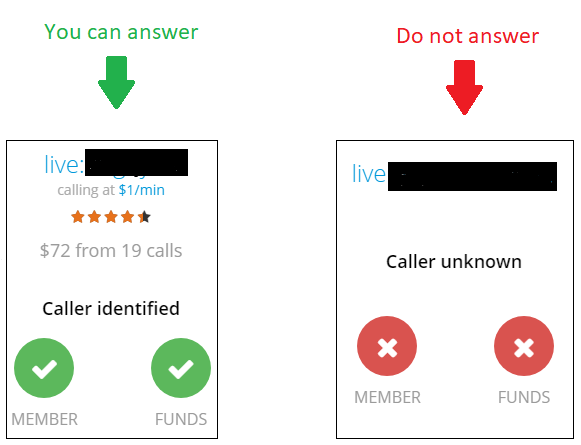 When the person calls you, the plugin will identify if it is a Member with funds or not. 8. Accept the Skype video call and you will begin to charge the Member per minute. 11. If you wish to stop appearing "Online" on the profiles page, you will need to exit the plugin. For that, go to the lower right side of your computer's desktop, right click on the icon and click on "Exit".